Hey Everyone, Week 9 of the 2018 NFL season is upon us and there are some great match-ups this week! Some can’t miss games include Packers at Patriots on Sunday Night – the two greatest QB’s in the game go head to head. Want to see how you can stream your favorite games? Click on your team below to see their schedule and which services will be streaming their game. In the previous years, games were only available via cable or broadcast TV aired by various TV channels including Fox and ESPN (R). To watch NFL games there are several options including, but not limited to: cord cutting services, digital antennas, mobile apps, and more. Anyone can watch football games live on a Smart TV, computer, or mobile device. Rumors in the online streaming world has it that the National Football League plans to end all their contracts with TV stations and focus more on their Internet TV audience. 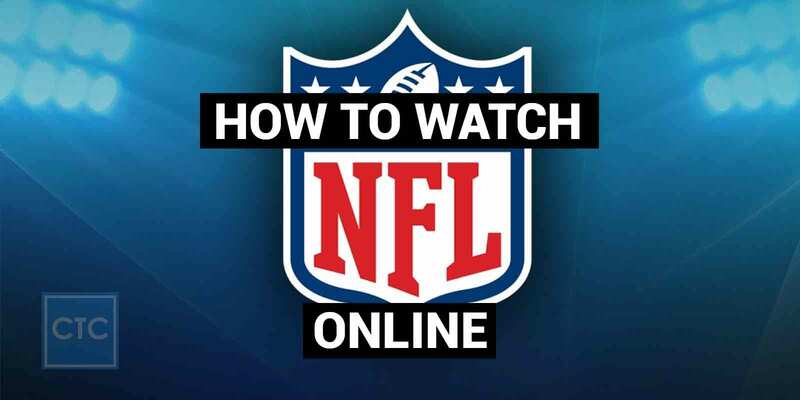 If you are not plugged in already, here are some of the ways you can watch the National Football League on the Internet. This is the official mobile app that allows you to watch and receive football updates on the go. You can download the NFL mobile app on your Apple, Windows, or Android device. Streaming live may be exclusive to fans subscribed to Verizon Mobile. Nevertheless, there are many features of the streaming service that non-Verizon subscribers can access and explore. Verizon mobile users have direct access to live games through various applications. You can also scroll through the NFL (R) archives to watch regular games and playoffs from the previous seasons. In addition, the NFL Mobile App for Verizon gives you a free pass to the 2017 Pro Bowl and the NFL Red Zone. All these front-row benefits come at an affordable price of $1.99 if you are on Verizon. For non-Verizon mobile users, you still receive up-to-the-minute details of current scores and highlights of ongoing games. The Mobile App delivers Drive Charts to your mobile device as well as stats on key team players, team leaders, and tracks in the current league. You can also receive an updated schedule of the NFL Network timetable or browse the NFL Shop to purchase some football merchandise. Only iPad users not on Verizon can access the NFL Network if their current service provider allows. The premier games are available for live streaming on mobile devices via NFL mobile apps. Live streaming of games is supported on iOS, Windows, and android devices. Once you download the official NFL app to your mobile device, you can start watching live football games. Alternatively, there are plenty other mobile apps exclusive to the National Football League that will let you follow on the scores and playoffs just like on NFL mobile. No subscription is required to watch regular season games or playoffs live. However, you may be required to subscribe to an Internet or mobile service provider to access some features. Here are some of the available mobile apps that will let you stream games live. If you were locked out of the live games on the NFL Mobile app, you can still access the saved games on the NFL Game Pass App. NFL Game Pass is also available to non-U.S. fans living in Mexico or any other parts of the world. With the game pass app, you can watch all the pre-recorded live matches for the preseason matches, regular matches, as well as the Super Bowl. The NFL Game Pass gives you access to NFL Network Live, the NFL archives, and instant stats on scores and more. You also received condensed versions of on-going games, video profile for coaches, and Fantasy games. You can also download several other games on the Game Pass app. This mobile app gives instant access to live matches as they occur on the NFL Network and the Red Zone. The Watch NFL Network app will require you to select a cable service provider to follow live matches on your mobile device. The app presents a list of service providers to connect to including AT&T U-Verse, DirecTV, Dish, Charter Spectrum, Cox, Verizon FiOS, ACE Communication, 3 Rivers Communication, and Access Montana. In case you do not see your current service provider on the list, there is a quick link to search and add them to the list. If they do support access to the NFL Network (R) and RedZone, they will be included to the list. The Watch NFL Network app is available for IOS, Android, and Windows. Watch NFL Network will keep you updated and entertained on the latest news in the season games. You receive live streaming of the game-day shows, highlights, news updates, and just about everything happening on the NFL Network. You also get instant access to Thursday Night games and all the pre-season games on the archives. More perks include an in-depth coverage of the draft, latest scouting combinations, news on free agencies, and updates on what is happening on Training Camps. You can also tune into the NFL Red Zone every Sunday to watch games. In addition, fans get to explore new features of the NFL app including Football Life, NFL Total Access, NFL Game Day, and Good Morning Football. However, it is important to know that access to the NFL Red Zone is only available on certain mobile service providers. Therefore, it is important to research supported devices and service providers. If you are new to the whole fantasy football craze, the NFL Fantasy app is a great tool to bring yourself to speed with how the whole scope of the National Football League works. For the existing die-hard football fans, the NFL Fantasy Apps allows you to enjoy your fantasy football thrills on the go. You can download this app straight to your windows, Apple, and android device. The NFL Fantasy (R) app allows you to create leagues or join existing ones. A new feature, NFL Next Gen, gives you instant access to information on potential signings. The Next Gen feature will give you instant field indicators while engaging your fantasy team. In addition, this app has an archive of video highlights of game plays from the created teams in the same way you receive highlights on Live games. You have the choice to create and stick to one football team or manage multiple teams at once. Besides creating your own NFL fantasy world, you will also stay up to date with the latest player news in the ongoing season. The NFL Fantasy App will tell you the scores, injury updates on players and how everything tallies for each team towards the season Finale. Lastly, the NFL Fantasy App gives you an insight to how football commentaries are carried out. There will be real football analysts giving their expert opinion on the football formations you created and point out the strengths and weaknesses of your team. Quick tip, use the NFL Fantasy app alongside any other NFL mobile app to better understand the football season as it progresses. If you own a Smart TV, you can watch games through TV apps. One of these apps is Sling TV, which has two subscription plans for National Football League games including the Sling Orange package going for $25 a month. This package adds ESPN to your channel bouquet allowing you to stream live football games. The second package from Sling TV is Sling Blue which goes for $25 a month. This package provides access to local TV channels including Fox and NBS, as well as the NFL network. For an extra $5, you can also tune into the NFL RedZone for live updates of on-going games. Sling TV can be easily accessed on Apple TV, Roku, Chromecast, or Amazon Fire TV. Although Sling TV has two different NFL packages with different features and benefits, it is possible to pay for both. This should cost around $40 a month, bringing the total to $160 by the end of the season. Sling TV is a good option if you do not want to be tied down to a contract. You get full access to ESPN and NFL and have the liberty of canceling your subscription at the end of the season. Make sure you have good access to the Internet to stream content via the Sling TV app. Remember, Sling TV channels like Fox and NBC may only be available in a select number of states. Currently, anyone living in Chicago, San Francisco, Dallas, and New York can access the two channels. Dish TV works like Netflix and streams online videos and TV shows from popular American TV channels. You can also access the NFL Network on Dish TV with full year access to HBO shows and the American Top 120. Watching live on Dish TV will require you to sign up to an online streaming package. There are four packages to choose from including the Flex Pack for $40 a month, the Americas Top 120 ($55 a month), America Top 200 ($70 a month), and America Top 250 ($80 a month). You can only access the NFL network and ESPN, on the American Top 120 package and above. One of the most distinct benefits of Dish TV is that it allows you to stream live football games in HD. Gamers can also access live games through Sony’s PlayStation and Microsoft’s Xbox. PlayStation owners pay a monthly subscription of between $30 and $45 to access live games. PlayStation also provides streaming for games that are currently being aired on local TV channels including NBC and Fox. An additional advantage of PlayStation is that it provides ready access to NFL Network and the NFL RedZone. The NFL collaborated with the social site, Twitter, to live stream some of their football games. 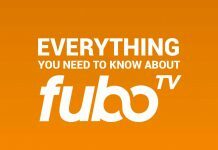 Streaming football on Twitter is free of charge and is available on Smart TV, computer, and mobile devices supporting iOS and Android. You only need to open a Twitter account and follow the official handle of the National Football League. Twitter account holders are able to stream everything aired on the NFL network in real time. The move to broadcast on Twitter is one of the decisions that the NFL made to reach a wider audience whilst reducing their presence on Cable TV. The advantage of watching football off-cable is the freedom it provides. As an football fan, you do not have to sign up to any cable TV package. You can subscribe to an app just when the season is starting then unsubscribe later without any obligations. NFL games often air on three days: Sundays, Mondays, and Thursdays. Your ability to access all of the games depends on what device you choose to stream with and whether you are on a paid or free subscription. The Sunday Night Football games often have playoff implications. Playoffs games can be watched online via NBC Sports website. Fans can watch the games online in high definition with multiple camera angles and DVR controls when watching on a mobile device. Sunday night football games are also streamed with accurate close caption support. On the other hand, there may be some limitations for those watching Sunday Night Football on Direct TV. According to Direct TV regulations, fans may not watch live games that are played or broadcast live in their local areas. This means that you are likely to experience an interrupted streaming of games on Direct TV. Monday Night Football games are available to anyone with a valid subscription to the ESPN channel. Additionally, Monday night football games are available on the ESPN app via Xbox 360 and Apple TV. Those on mobile devices can also watch Monday night games via the NFL mobile app supported by Verizon. These games can be streamed live on mobile devices, computers, and smart TVs. Fans watching the games on their android or iOS devices must be on Verizon. Anyone wishing to watch the Sunday afternoon playoffs from a laptop or Smart TV can stream from the Fox Sports website. Thursday Night games are often aired on three channels: CBC Sports, NFL Network, and NBC Sports. A newcomer to this collection is Twitter, which now supports live streaming of Thursday night games. You only need a twitter account to start streaming the Thursday night games on a mobile device. You can also log into your twitter account on a laptop or Smart TV and watch the live games if you do not wish to watch the games on a phone or tablet. Thursday night games will also be made available on the NFL network. The only distinct feature of watching football games on Twitter is that the games are split; with some crucial games aired exclusively on the NFL network. The NFL RedZone is where all the statistics and playoffs analysis of the main games are done. Any die hard fan would tell you that signing up for the RedZone is one of the best ways to access full games. There are two ways of accessing NFL RedZone: as a free service or part of a paid subscription package. Those on Verizon mobile have the advantage of accessing the RedZone at no additional cost. If you are on PlayStation Vue, an additional one-time fee of $40 earns you an upgrade into the RedZone. 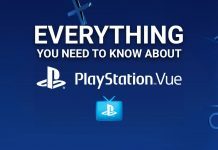 People on PlayStation Vue’s top tier packages including Core, Elite and Ultra can access the RedZone anytime. Fans watching games on a Sunday Night Ticket can also access the RedZone. However, this requires upgrading to the Sunday Ticket Max package priced at $83 a month. The Sunday Ticket Max offer also includes the NFL Fantasy Zone where fans receive real-time insights into different games as well as a fantasy analysis of the season itself. Similar to the RedZone, Sports Illustrated website is another great place to get live commentaries and analysis on the playoffs. Once you get access to the website, hover on to the “NFL” category. Click the category to see a scroll down menu providing links to latest news, scores, standings, and schedule for the current season. If you wish to learn about the progress of your favorite team, you can get all the statistics on Sports Illustrated. You will see a list of all the teams under the same “NFL” category. Click on the team of your choice to browse through the team’s scores and news updates. 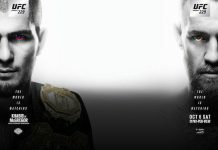 The official website of the ESPN is another gem for receiving constant updates about the current season. Click on the “NFL” category to access news, videos, and highlights. Here you will get instant updates on the playoffs, standings, scores, football statistics as well as the NFL drafts. No subscription is required to access this information although you can sign up to the website for RSS feeds to your email. SB nation is a third useful resource for watching the National Football League online. What sets SB Nation apart from the rest is their decision to focus solely on the NFL drafts. Here you will get all the NFL mock drafts details you wish to know absolutely free. You also have a great chance of learning about each of the participating teams in the current season. SB Nation is important to the fan placing bets in any premier season game. On the website, you will also see the section for the Odds for each team and the schedule line-ups. Who is allowed to watch NFL online? Fans in the U.S. can either watch games online on a paid subscription or free streaming. Sunday games are accessible to those who purchased the NFL Sunday Ticket. The Sunday Ticket is only provided by Direct TV to Pay TV subscribers. Those who are not subscribed to Direct TV can still purchase the Sunday Ticket at a discounted rate. Students currently in their second or fourth year in college qualify for the $24.99 discount price (from the usual $99) on their Sunday Ticket. Students can watch the Sunday playoffs on their iOS and android devices as well as on Xbox, PlayStation, Chromecast, and Apple TV. If you are not a student or a Pay TV subscriber, you can still purchase the streaming version of Sunday Ticket to watch games. Sunday Ticket access to live games will cost about $49.99. You can check how you can instantly subscribe to your Sunday TV ticket here. It is possible to watch football games from outside the U.S. through the NFL Game Pass package. This Pass provides access to all off-season games. You will also have access to the NFL archive and watch games going as far back as 2009. Though the thrill lies in watching the games live, there is still some advantage to using the game pass. You can watch any game on your smartphone by downloading the NFL Game Pass app. This app also supports virtual reality playbacks through the pre-installed DVR control features. One other advantage of the Game Pass is the ability to stream four games at once. This means that you and your friends can watch four games simultaneously without having to switch from one game to another. Many fans subscribe to the Game Pass package simply because it provides an archive of their favorite playoffs or regular season games. The National Football League has a steady stream of followers from all over the world. You can now sit at home or anywhere and watch your favorite team via a mobile device. Watching the NFL online is relatively cheaper compared to paying for cable TV. There is also the advantage of watching the games for free by subscribing to the free one-week trial offered by many Internet TV providers.